Financial freedom requires an understanding of finances. You do not have to be an expert, but you need to start somewhere. Did you realize that there was such a thing as “good debt?” Maybe you did and forgot or choose to set the thought aside. I mean, who wants to be in debt at all, right? Well, there is such a thing as good debt and bad debt. It has a lot to do with the interest rate. Did you know there is such a thing as good debt and bad debt? It has a lot to do with the interest rate. It is important to sit down and figure out these differences. Fortunately, we are here to help you with that task. Non-consumer loans versus consumer loans. First of all, it is the non-consumer loans that are defined as what would be good debt. However, in contrast, it is the consumer debts that are considered bad debt. So, the next question is what would be defined as non-consumer loans and what would be defined as consumer debts? tax advantages of some sort (not required, but if it exists, that helps to define the type of debt). Now that we have an idea of what would be a non-consumer debt, or a good debt, as in a house mortgage or land investment, etc., we can look at what a bad debt is. Now, looking at the lists, that helps us to be able to categorize whether a debt is a good debt or a bad debt. Even with these definitions and differentiation, it doesn’t mean you couldn’t do something like using a high-interest credit card (bad debt) to invest in a property that is increasing in value (good debt). However, in that case, you need to be sure you put a plan in place to pay off the credit card (bad debt) and maybe even consider a loan that uses the land investment as collateral (good debt). Keep in mind that if you are looking to make an investment (good debt), as an example, a lender may look to see how much bad debt you have. In fact, this is very likely. This will be compared to things like your credit score, your income, and therefore your ability to have money left over to pay the payments for the good debt after taking care of your bad debt every month. This is the way the world goes around when it comes to debt and debt analysis. This is how decisions are made when it comes to future loans, etc. (good debt). It is so easy to fall into the pit of bad debt. Getting a credit card and being able to go out and spend and spend is so tempting and many people fall into that pit. There are also the cases where people get credit cards because they have lost their job or they are underemployed and they are looking to temporarily pay their bills. That may be nobler than spending on frivolous items, but it is still bad debt, unfortunately. Now, let’s take a moment to look at good debt, in the context of bad debt. As we mentioned above, when attempting to obtain a loan for a house (good debt), that bad debt comes into play. It is unusual for people to have the cash on hand when it comes to a house or car loan and so that is why it is important to understand bad debt and how that may affect good debt. It isn’t that one would recommend that someone have good debt, but it is recommended that you have investments that earn you more than what you pay and that generally involves good debt. Student loans are killers. These days, it is sometimes difficult to find a job that pays enough to pay off the student loan. But, student loans are considered good debt. For example, one way to help differentiate between good debt and bad debt (beyond our lists above) is to ask yourself if it is debt owed to individual companies (like credit cards) or the government (like school loans). Granted, it isn’t always the case (hence, not in our list), but it does help in differentiating between the two, in some of these surprising cases. Here is another surprising one for you. If you are going for your good debt house mortgage and the banker is evaluating your situation and turns you down and you are not quite sure why, since you have been responsible with your bad debt credit cards, look again. It may be that the banker is evaluating what is called your debt service ratio (DSR) and that is a calculation of the general household debt and how that compares to the total income that is coming into that same household. If you are upside down, between your household bills, car payments, etc., he or she may not be able to quantify your ability to make a payment on a good debt. So, good debt or not, it is something that needs to be managed or at least known about in the big picture, eh? Ok, you probably already do this… budget, that is. Did you know that even a sort of mental concept of how much money you should spend where is considered a budget? 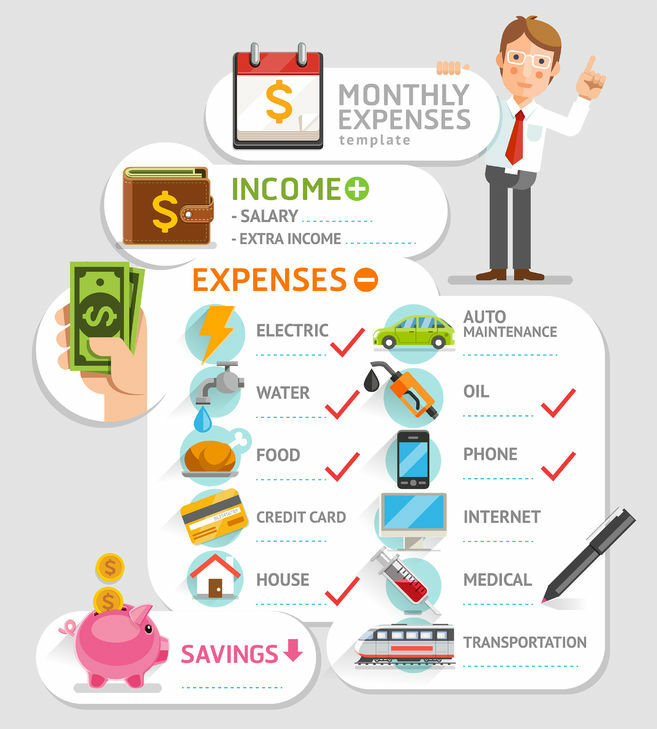 So, you may be budgeting without even knowing it, with handling it in your brain. If so, pat yourself on the back! But, speaking from experience, it is easier to manage some of these fun things mentioned above, with a more defined, written-down, budget. There is cool software out there that will help you do just that. Even though I love Quickbooks (for business and I use it often!) my favorite tool for budgeting the household is its sister product, Quicken. Software like Quicken walks you through the process to figure out how much you should spend on your food budget, utilities, mortgage, etc. It categorizes it for you so that when you spend money (and log it in the software) it will let you know how much of your budget you have left or if you have overspent. Now, I’m not saying all this to try to sell the software. I am truly being honest with my personal experience. What helped me is that I set how much money I wanted (or needed) to spend in each category. I mean, it isn’t like you can change your utility bills, or can you? Then, Quicken would calculate automatically if I had budgeted so much that it was more than the income. What were some options? I could use the heat less, to lower the gas bill (yes, I get cold even in California, in the winter months). If I budget well, I can allocate more money to bring down the credit card debt, helping to lower the bad debt. So, what is financial freedom? That may be a personal definition. Well, really it is. To some people, it is paying off the mortgage on their house. I’m already there, owning the house 100%. So, my definition of financial freedom is a bit different than others. Also, we are all human. Just because someone doesn’t have a mortgage or a car payment or two doesn’t mean that they don’t have other things on their list. Maybe their perspective on financial freedom has to do with putting in a swimming pool (yes, been there and done that, too) or taking four world trip cruises per year. So, what is the definition of financial freedom for you? Dominate the Search Engines Using Webmaster Tools by LearntoBlog is a program that teaches you how to get better results in your search engine optimiations efforts. Yes, I am an affiliate, but like the other programs by LearntoBlog I've used it and can personally recommend it! Pay yourself first in every paycheck, if possible. For example, put money toward some sort of investment, which can even be an investment home. It isn’t always possible to pay yourself first and that is ok. Our economy took a huge hit in 2008 and we are not entirely recovered. So, in this day and age, it is good if you can simply pay your mortgage or rent and also your utilities and minimum on the bad debt. But, if you get a raise or a tax refund, think about the option to move forward. Also, use that budgeting software to see if you can eek out some money for an investment (or even savings). If you eat one less Big Mac, do you have a couple of dollars to put toward moving yourself forward in savings or better yet, investment? Don’t forget to research some tax benefits that may be out there. For example, if you have kids, definitely look into the child tax credit and see if you qualify for earned income benefits on your taxes. If you are able to put aside money in a savings account, you can use that money in case of an emergency instead of the credit card, raising the bad debt. Also, that savings account may save you in the unfortunate and untimely event of a loss of income. If you have saved up enough, it may help you until you can return to the normal amount of income. I was looking for this incredible book that I read twenty years ago. It changed my life. It was a bit disorganized and not well-known, but it didn’t matter. The content was life-changing, especially for me at the time. I wasn’t able to find that book. (It helps if you remember the name of the book!) But, I found the Kindle book above for about $3 and some decent reviews. I think I’ll pick it up for myself! Remember, it is better to purchase a lower-priced house than the higher-priced. You can often find your dream house in the financial range that will benefit you in the long run, with careful research. Ok, we’ve done a lot of chatting about good debt, bad debt, tips, etc. Now, we need to ensure we understand it. And, after the understanding, apply it. Read qualified books on the subject. Use qualified software to help you in your understanding and application. If you have the resources, consult a professional (be sure to check references, first). Did you know? When talking about bad debt, like consumer debt, as in a credit card, you have an APR (annual percentage rate). Ok, you probably knew that. 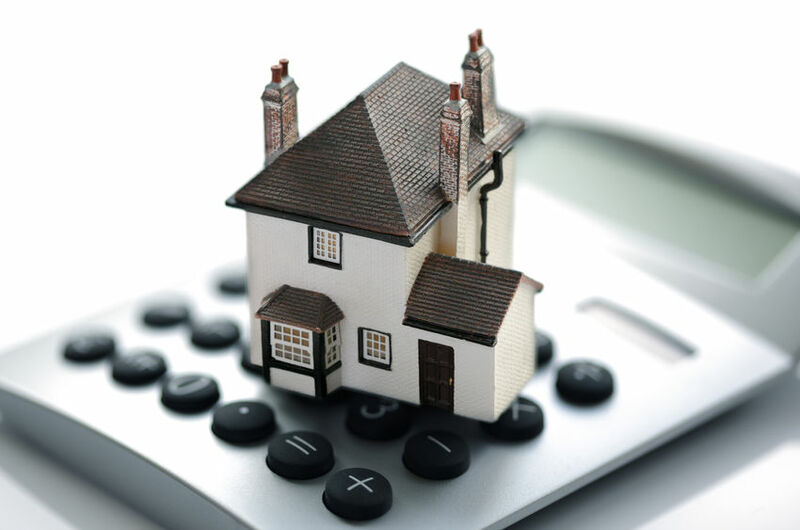 But, did you know that often times the rate is calculated by what level of risk the lender is taking in providing it to you, with an assumption that you may fail in paying it back to them? So, if you got a credit card easily, that is not a sign that you are in a good spot, financially. It just means that the lender calculated the risk. Also, another thing… The interest on non-consumer, good debt, like a mortgage, is often tax-deductible, whereas bad debt interest is not. Also, APR can run around 30%. That is 1/3 of what you are paying on your credit card and you keep paying it. By the time you are done, you have paid for the original item or service many times over and again and again. A better rule of thumb is to only use the credit card for the amount that you could pay in cash. Try to pay it off before it incurs interest. For example, some lenders, like PayPal, offer six months without interest. That is the time period when you should pay off whatever you spend with that credit. 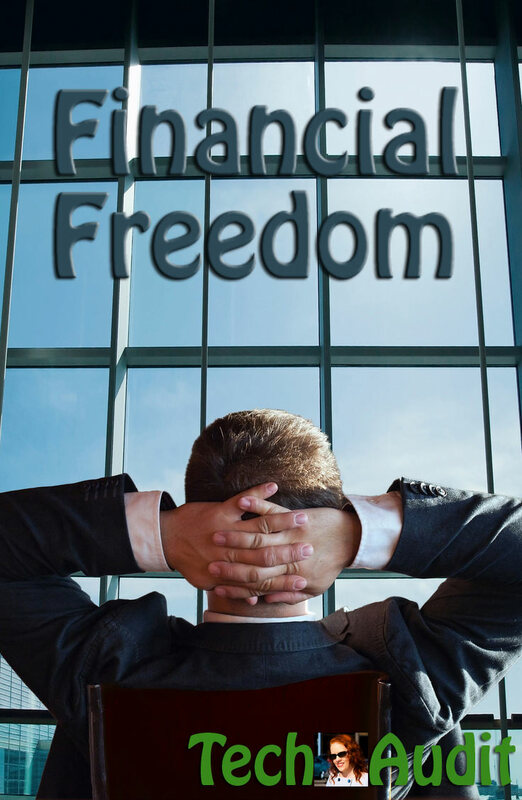 It is time to get a hold of your finances and move toward financial freedom. You can do it… one step at a time. Read the Articles of Interest, here @ Tech-Audit.com or Stay In The Loop! Subscribe to the Tech-Audit.com feed via RSS or Email to receive notifications when new posts are published. Follow @TechAuditCom on Twitter!